Vertical Sewage Centrifugal Submersible Pump is a newly developed submersible sewage water pump, which is designed based on the combination of the advanced technology from international vertical submersible sewage pump performance features. This submersible waste sewage centrifugal pump has features such as energy-saving, anti-winding, non-clogging, automatic installation and automatic control. This pump is excellent in transporting sewage water with solid-particles and long fibers. The vertical sewage centrifugal submersible pumps use special structure impeller and new mechanical seals to make it more efficient in delivering sewage water with solid particles and long fibers. Compared with traditional impellers, the new ones(spiral-flow type or double-leaf type) have an excellent delivery capacity, which improves the submersible sewage pump performance. It runs more smoothly without any vibration. We can supply electric frequency 50Hz or 60Hz for different countries. > For clean water transporting. 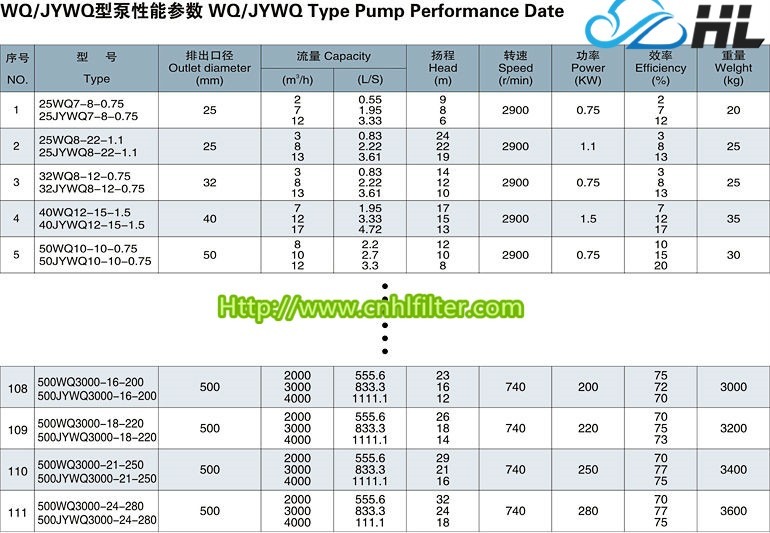 > Please inform us when placing an order if the sewage submersible centrifugal pump working pressure is more than 0.6MPa. 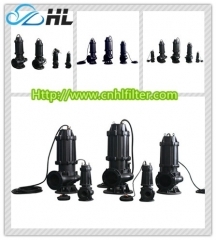 > Sewage water: Solid size should be no larger than 50% of the submersible centrifugal sewage pump suction diameter. Fiber length should not be over 2.5 times of the vertical centrifugal submersible sewage pump suction diameter. 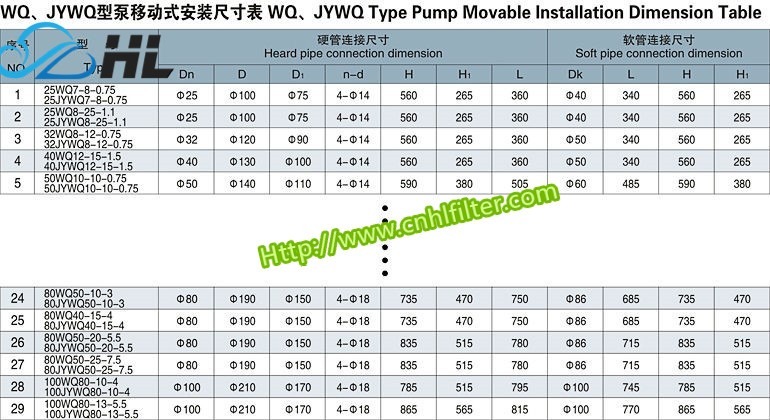 When the sewage density is more than 1.05, the submersible pump motor power should be increased accordingly to prevent the motor from overload operation. > Ambinet temperature should not exceed 40℃. Altitude should not exceed 1000m. 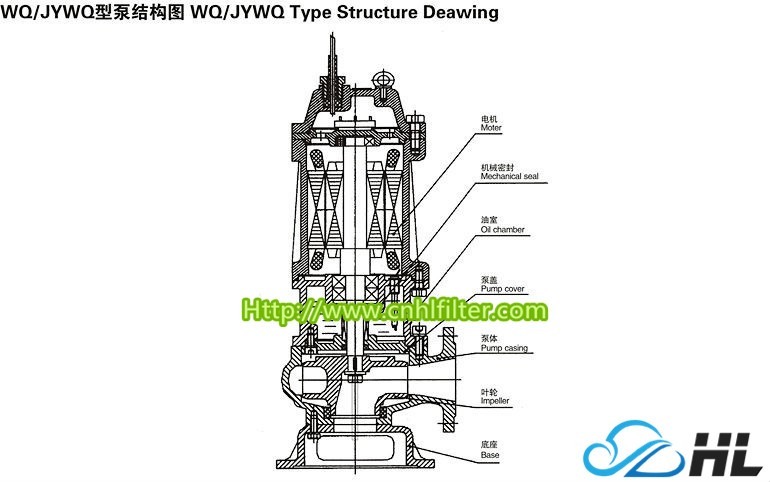 Transferring sewage water temperature should not exceed 40℃. Please inform us when placing an order if the transferring sewage temperature exceed 40℃. 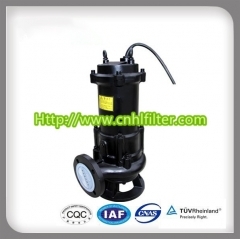 The sewage submersible pump motor power should be increased in order to adapt to the high altitude area if the altitude exceed 1000m. > Adoption of unique spiral-type or big passage impeller structure, significantly improving passage capacity of sewage water. 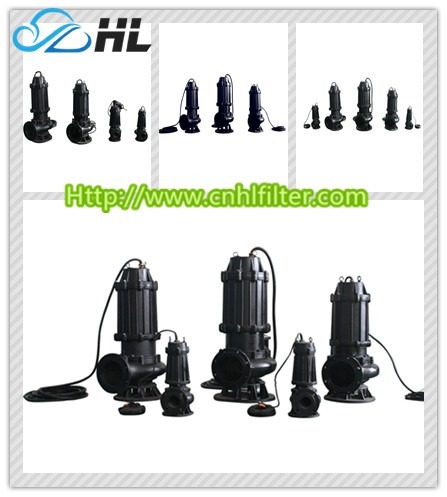 Solid particles with half the vertical sewage submersible pump input diameter are effectively passable. 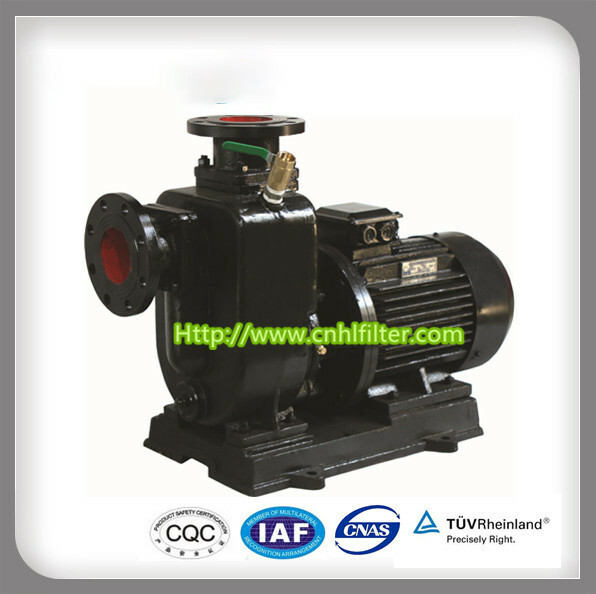 > Mix-up electric power submersible centrifugal sewage pump has all the functions of common submersible sewage water pump. A sub impeller(same axis with the dynamo, stability ensured) installed at the bottom of vertical submersible pump could produce additional pressure when submersible sewage pump is at high gear, in order to reach the rotation effect of the sewage or waste water and neat discharge of all the vertical sewage pump. > Dynamic-balanced rotor part and properly arranged bearing has effectively evened radial and axial load of vertical submersible centrifugal pump, by which the whole pump could function in longer period with more stability and less noise. > This sewage centrifugal submersible pump is open to both mobile and fixed installation method upon client's request. > Electric vertical submersible pump control and protection. Common-type and fully-insured type are both available on client's request (please specify fully-insured type at order-placing). 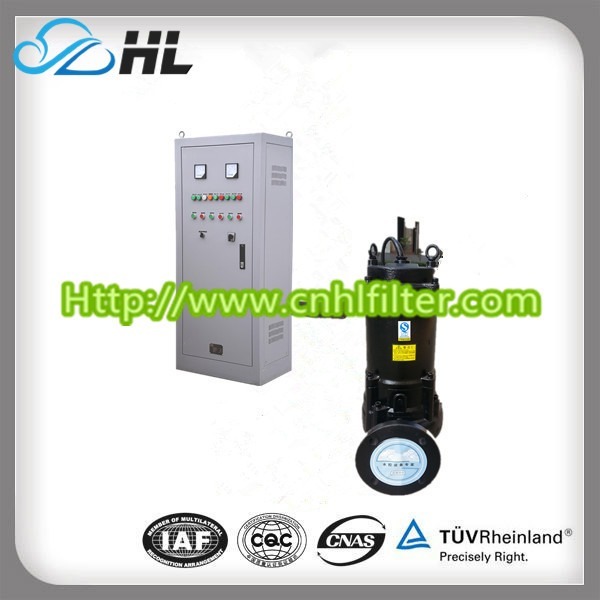 > Sewage water level control cabinet could be provided upon request, which enables on/off control of submersible sewage pump according to sewage water level and a most convenient automatic management. > Vertical single-stage structure can couple with auto-coupled device for installation. The material can be made from stainless steel to pumping the corrosive liquid.